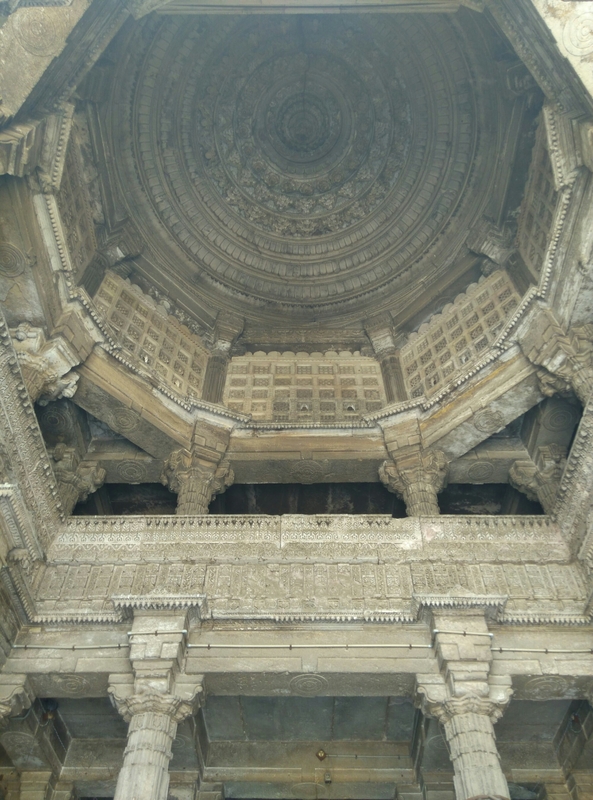 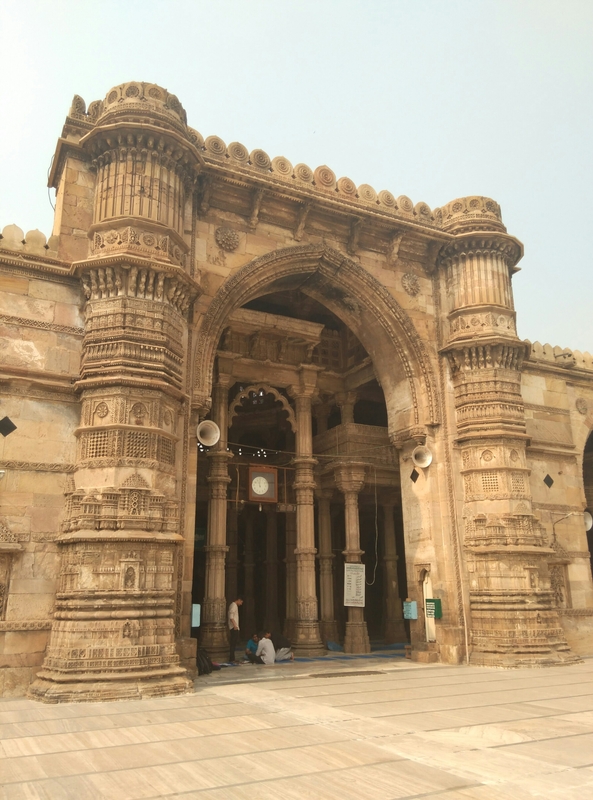 After a very heavy lunch at Agashiye restaurant, I decided to take a stroll in the old Ahmedabad city… I had read about the Bhadra fort but saw the large gate and clock tower for the very first time. 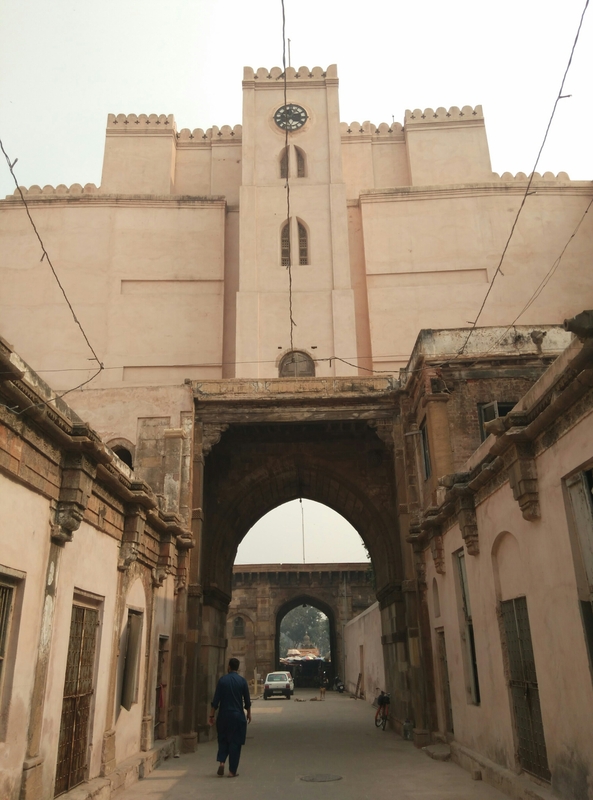 Walking across the busy market, it was interesting to see Sidi Syed’s mosque and the Teen darwaja which stood stoicly in the middle of a chaotic bazar. 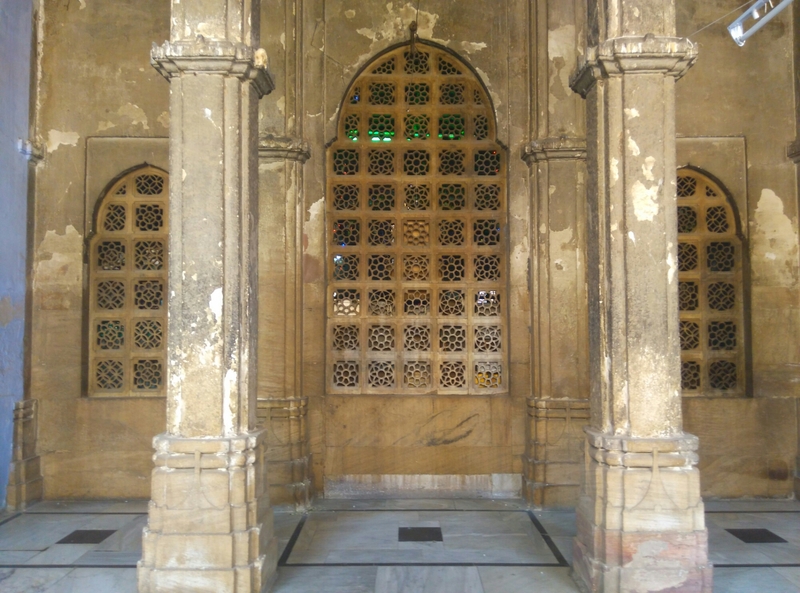 I was lucky to reach Jama Masjid before the afternoon naman and had a good half an hour to explore. 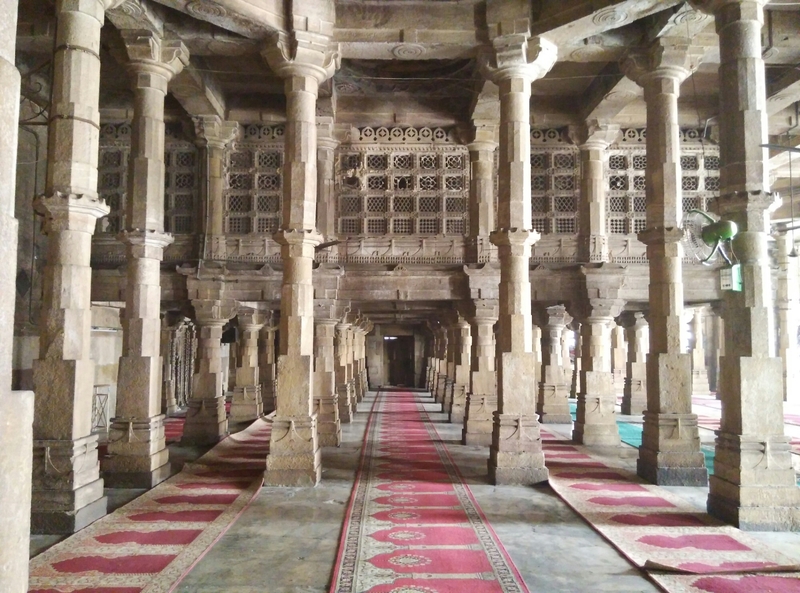 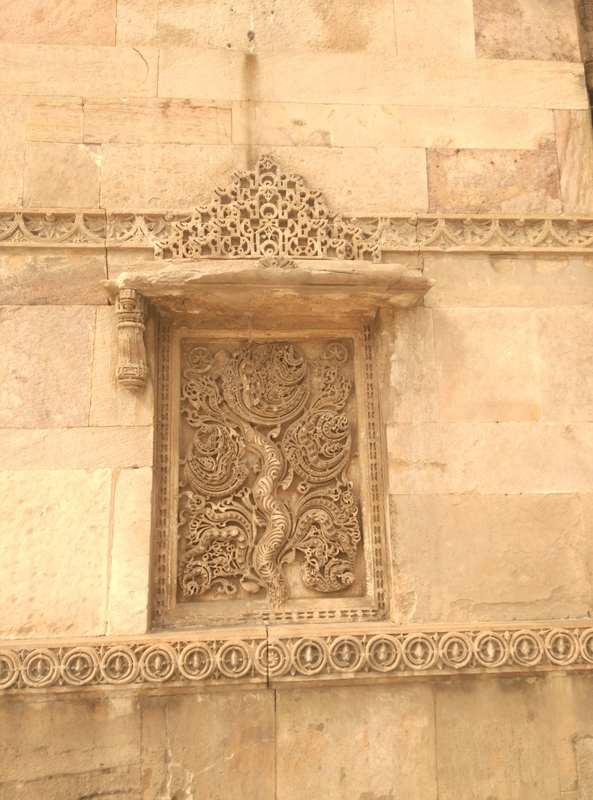 It was built by Ahmedshah, the founder of Ahmedabad city. 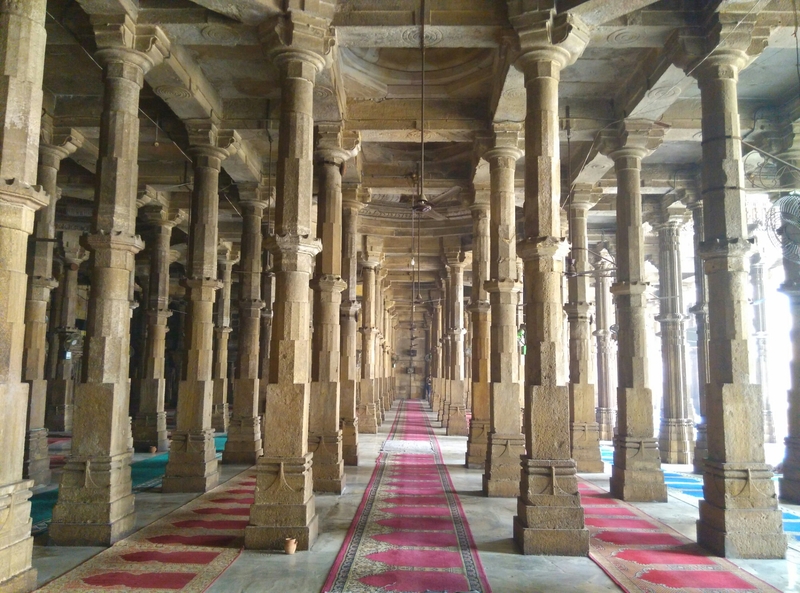 Very ornate carvings, symmetrical colonnade and play of light makes this structure interesting. 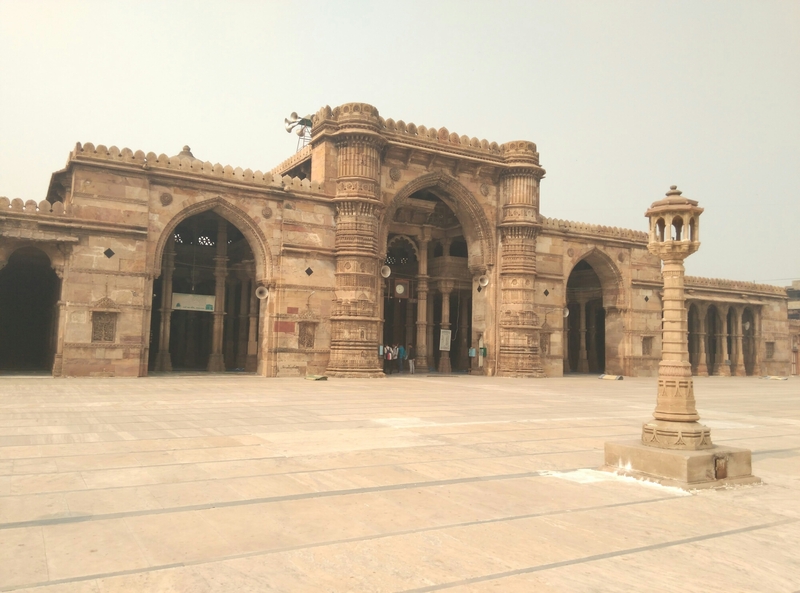 Right behind the mosque, there is Ahmedshah’s tomb … It does not look very grand or inviting from outside but certainly worth a visit. 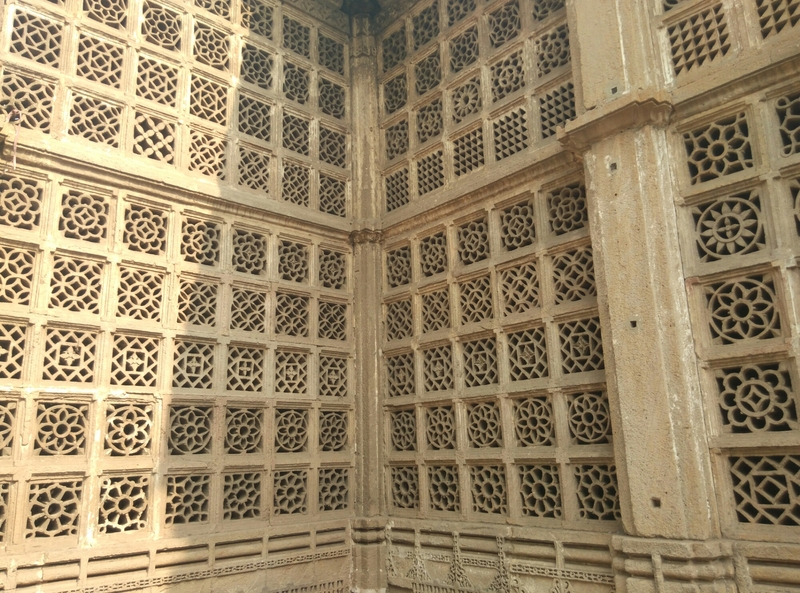 Especially for its stone jalee work. 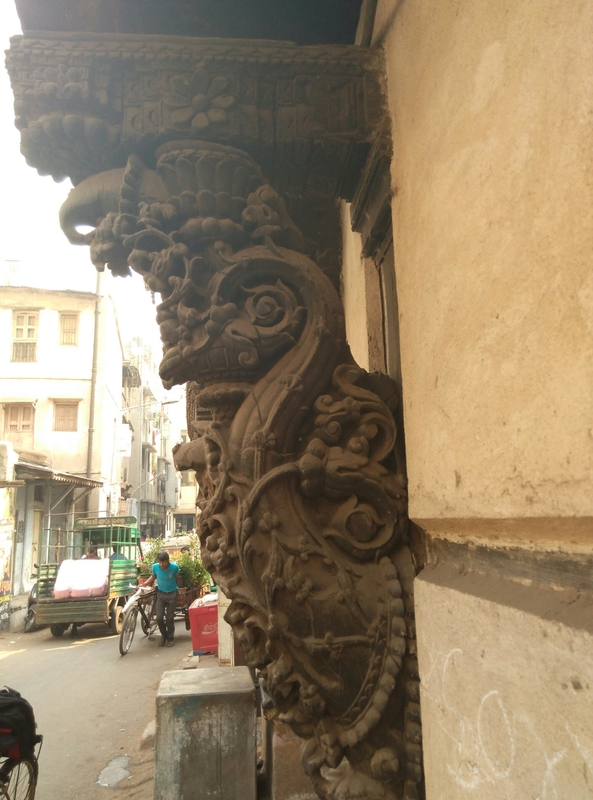 It was time for me to get to work. 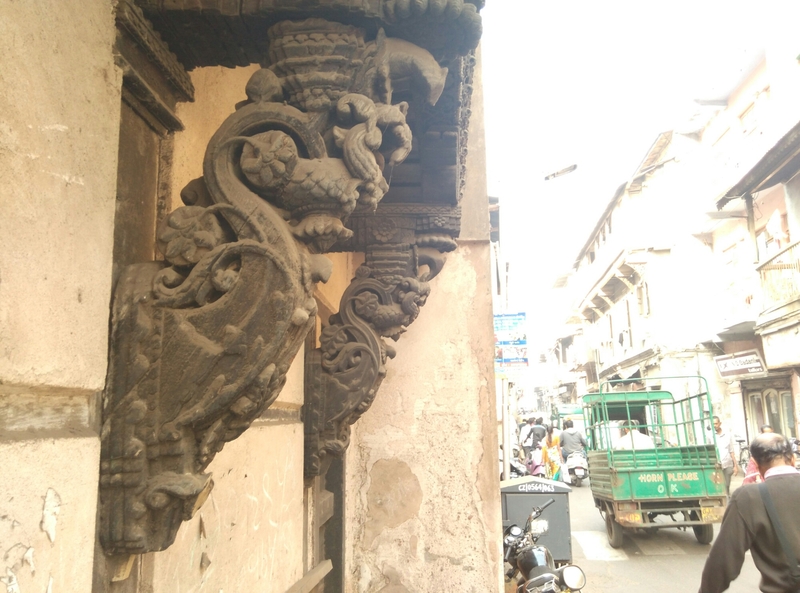 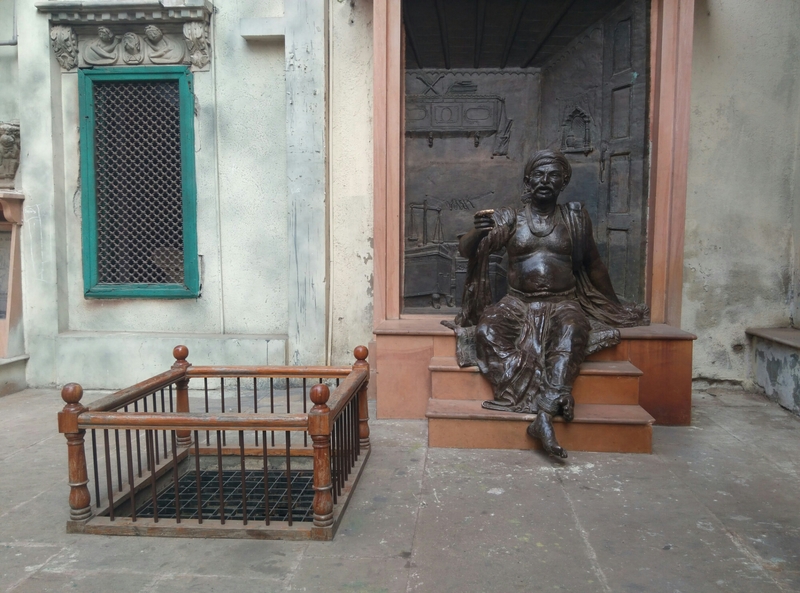 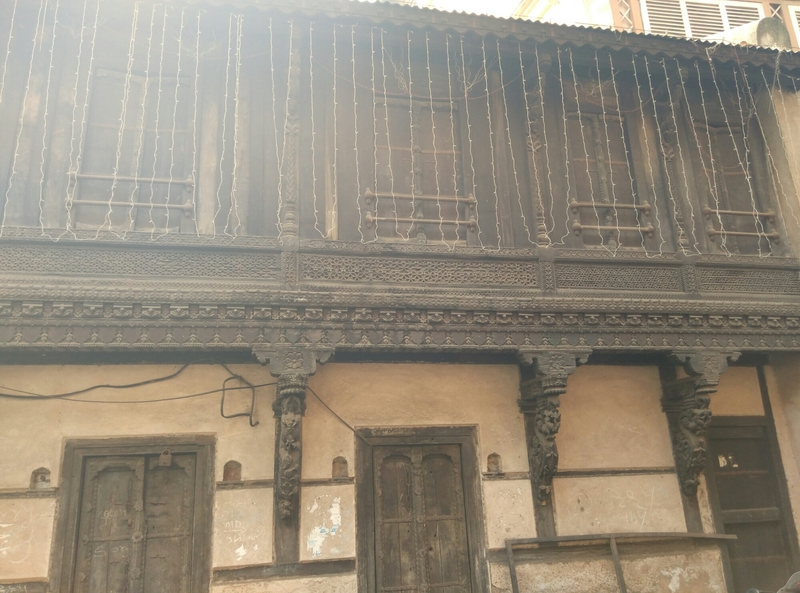 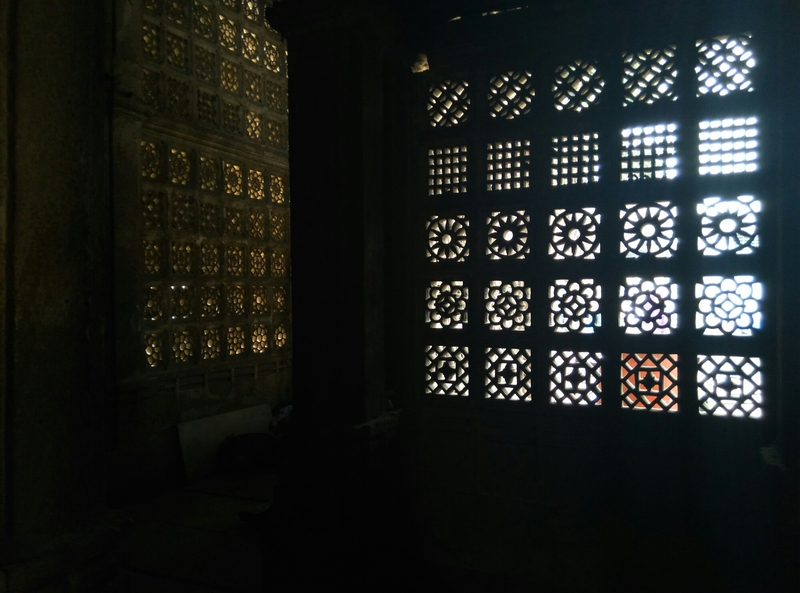 I had an assignment to conduct inside Desai ni pol … I was pleasantly surprised to see wooden carvings and old havelis … I will hopefully participate in a heritage walk to explore these few century old homes but let me leave you with a few images from Desai Ni Pol.